Want to launder $20 million in illicit drug money? Buy a fancy penthouse in Miami with cash. It turns out, secretively purchasing luxury real estate is a popular way for the world's super-criminals to clean their dirty money. "You can spend a lot of money to buy a house, and then you can sell that house a year later," says Heather Lowe, a lawyer with Global Financial Integrity. "And all of a sudden, all of that money is completely clean money." Her group tracks the transfer of illicit money out of developing countries. The Treasury Department has a new approach to step up oversight of such cash sales. When drug kingpins from South America or organized crime figures from places like Russia buy these luxury properties with cash, they set up shell companies to purchase them. So nobody knows who is actually buying that penthouse overlooking Central Park in New York. "That shell company might be owned by another shell company — might be a Panamanian shell company — which might be owned by a Singapore trust," Lowe says. She adds that it's often easy to conceal who is buying these properties. And, she says, "That is a very common way to move illegal money and illegal assets around the world." 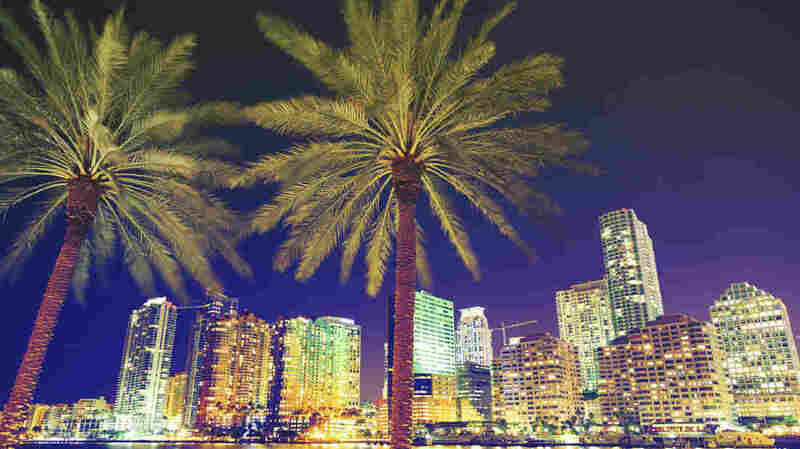 Now, at least in Manhattan and Miami-Dade County, Fla., during this temporary and exploratory phase of the program, the government will require that title insurance companies involved in real estate sales get the shell companies to reveal who are the actual owners of the shell companies. The title companies will then report that to the Treasury Department's Financial Crimes Enforcement Network. That's the plan. But will it work? "Well, that's what we're going to find out through this process," says Michelle Korsmo, the head of the American Land Title Association. She supports the effort. But she acknowledges that if a major drug kingpin is buying a mansion through a string of shell companies all over the world, that might be a bit much for a title insurance company to figure out. "We're not sure we're going to be able to have access to enough information," she says. "But we're going to give [the government] the information that we have." Lowe says it would be a good thing if investigators get more information than they have now, even if it's just loose bits that still need to be pieced together. For its part, the National Association of Realtors is supporting the move by the Treasury Department as a "reasonable" approach to combat the problem of money laundering.